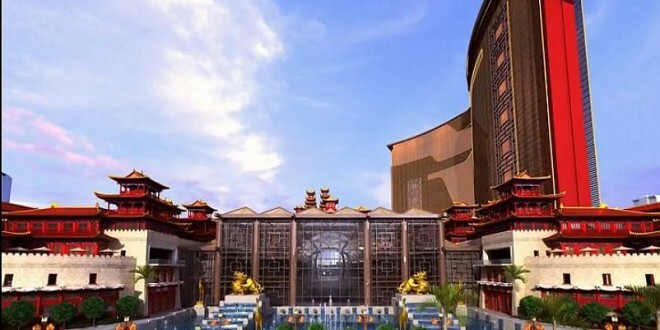 Brief：The US$4billion Phase One of the Resorts World Las Vegas project is proving popular with Chinese investors wanting a coveted EB-5 United States visa, says EB5Select.comUS immigration specialist EB-5, which is part of the Florida-based Feltrim Group, is currently in China promoting and marketing investment options in the 3,500-room resort hotel, as it has exclusive worldwide rights. Genting logoWith the previous EB-5 United States visa allocations for the Chinese having been used up early for the first time, a special new Las Vegas hotel project, being marketed in China, is capturing strong interest from investors. That’s because the multi-billion dollar Resorts World Las Vegas project, from Malaysia developer, the Genting Group, is believed to be the only US property to be themed and focused on Chinese culture. Phase One of the development, worth US$4billion, is set to create 45,000 jobs and offers Chinese investors the chance to obtain a coveted EB-5 visa. US immigration specialist EB-5, which is part of the Florida-based Feltrim Group, is currently in China promoting and marketing investment options in the 3,500-room resort hotel, as it has exclusive worldwide rights. The 350,000-square foot first phase of Resorts World Las Vegas, to the north of the famous Las Vegas strip includes a 4,200-seat Dancing Dragon Performing Arts Center, 30 restaurants and bars and could take up to three years to complete. The project, which may have three phases, features a Forbidden City shopping village and Great Wall of China-themed passageway a rooftop sky park and observation deck at the top of a 674-foot tower and a 50,000-square-foot, 58-foot-tall aquarium for exotic fish. The EB-5 visa provides a green card to any foreigner investing at least US$500,000 and creating 10 jobs in America, as long as national allocations are still available. “There is no doubt about it – China will be very hot for the EB-5 visa this year,” says Mr Kenny. “I don’t think people realise that for US$500,000 the husband, wife and children up to the age of twenty-one qualify to move, live and work in the United States. The program has an 86% success rate for the applicants. Last month, the EB-5 US investor visa scheme ran out of places after a surge in demand from Chinese applicants. It is the first time since the scheme began 1990 that the 10,000 visa annual limit has been reached. The previous oversubscribed allocation ran until 30 September, the end of the financial year, but it is feared that 2014/15’s allocation will also run out of places for Chinese applicants. In 2013, Chinese nationals took around 6,900 visas, more than 80% of EB-5 visas issued, compared to just 16 visas granted in 2004, according to government data. The program has benefitted from the scrapping of the Canadian Millionaire Scheme, which was popular with the Chinese, under which applicants worth at least CAN$1.6million (HK$11.2million) loaned the government CAN$800,000 interest-free for five years.